faces as they ran. Well done! The schools cross country club has started again with lots of new recruits. Lots of rain, lots of fun and lots of mud - great fun! On Thursday 9th February children from Years 5 and 6 took part in the final Cross Country event of the academic year. The children all did really well in their individual races and many achieved their personal best. A special mention goes to William S who finished 2nd and Robert B who finished 13th in the Year 5 Boys race and Lucas A who finished 17th in the Year 6 Boys race. Well done to all those who took part: Iori P, William S, Robert B, Jordan F, John R, Thomas W, Matthew G, Jasper C-S, Lucas A, Jacob H, Callum C and Jack B. Thank you to all the parents who transported their children to the event. 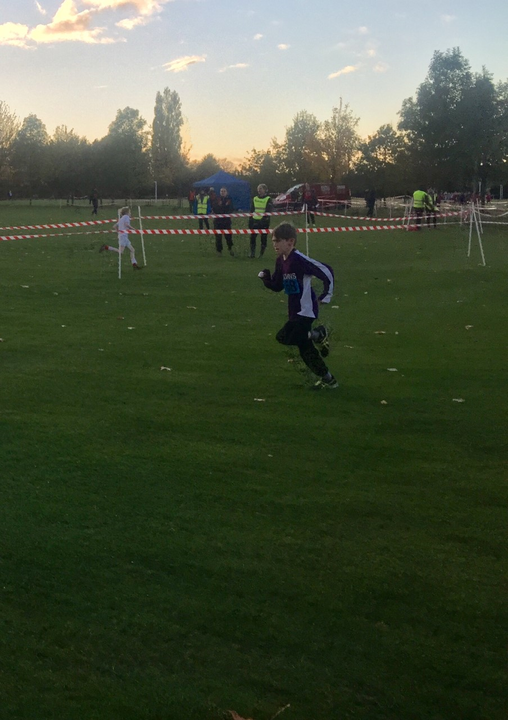 Tom B from year 4 entered the year 4 cross country competition on Thursday 10th November. There were over 100 boys that took part. He finished in a wonderful 7th place. Well done Tom what a terrific race you ran. 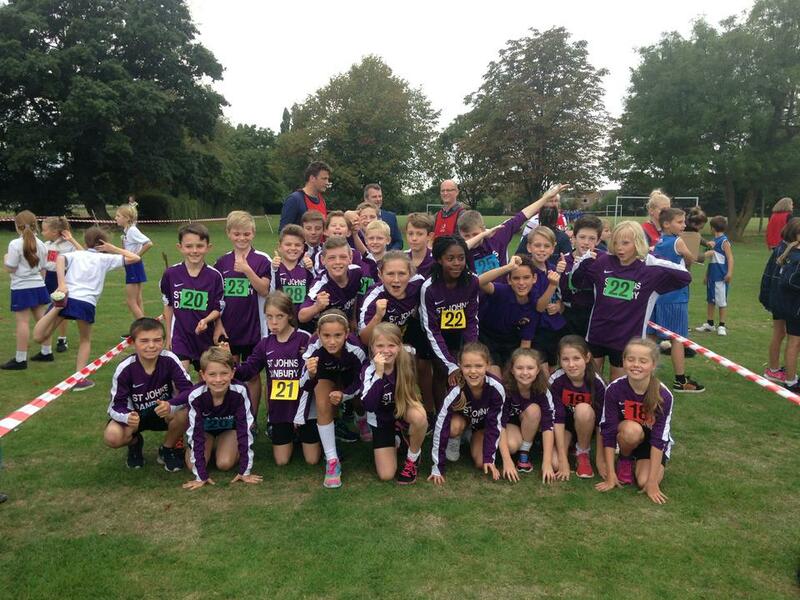 On 13th October years 5 and 6 took part in a Pope and Smith Cross Country Competition at Hylands. Well done to Robert B, Annabel N, Jessica K, Jacob H, Melissa A, Evie W, Klara G, Laial D, Lewis B, Matthew G, Ana S, Jordon F, Thomas W, Charlie R, Callum C, William S, John R, Ben P and Max H who all took part. Great participation and behaviour as always. On Wednesday 12th October a few year children from years 1 and 2 were invited to take part in a cross country race at Melbourne Athletics Stadium. Well done to Theo B, Tyler B, Sebby F, Holly B, Holly M, Gracie A, James D, Logan W, Keira-Leigh B, Jessica B and Lucy B. They all did so well. 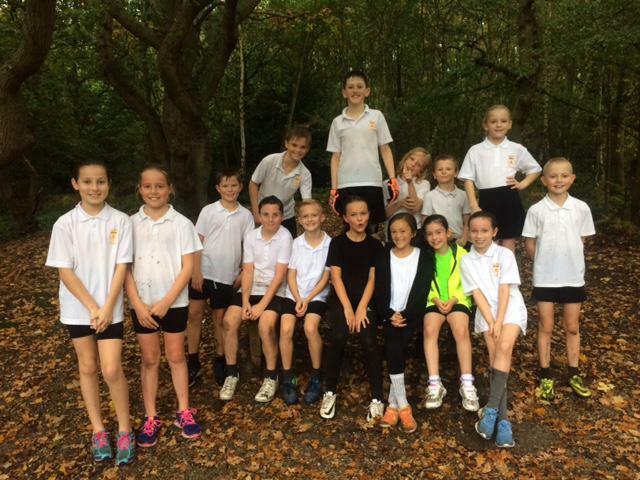 Many congratulations to the Year 5 and 6 girls and boys who represented the school at the first cross country race of the season on Thursday 22nd September. Each race had roughly 150 runners from at least 20 primary schools in mid Essex. Everyone ran with great gusto and beaming faces. Congratulations to the Year 6 boys team who finished as third best team out of the schools who took part and to Ben H who won the Year 6 boys race by putting in a sprint finish that Mo Farah would have been proud of. A huge congratulations to the children from year 1 and 2 who were chosen to represent the school at the sports partnership's annual Cross Country Competition on Monday. Our year 1 team (Adam P, Logan W, James Y, Keira-Leigh B, Lucy B and Jessica B) were very excited to take part in their first competitive race against children from other schools and ran well despite their nerves! Our year 2 team (Clark -Junior V, Sheon P, Oliver S, Emma J, Lily-May T and Fay B) persevered on the longer course and ran brilliantly. A special congratulations goes to Clark Junior for winning the year 2 boys' race and Emma for coming in 6th place in the year 2 girls' race. Thanks also to the parents who helped transport and support the children at the event. On Thursday 12th November the Year 5 and 6 cross country team ran at Melbourne Park with excellent team spirit. Well done to all the children who ran. A special well done to Ben H who came 12th and Chantel H 11th out of 200 children. The year 6 girls had an overall great performance and there were lots of personal bests for all the children. Thank you to the parents that helped drive to and from the event. We really appreciate the parental help.